How Much Protein Is in Chicken? The bird is the word when it comes to the muscle-building nutrient. The average American ate about 93 pounds of chicken this year. That’s the equivalent weight of both of my daughters combined. The top reason they said they wanted to get more chicken into their diets? Because it’s healthy and nutritious. As a dietitian, I couldn't agree more: Ounce-for-ounce, chicken is one of the leaner animal proteins you can choose. What nutrients does chicken have? Although it’s not among the richest sources of omega-3s, chicken does deliver more EPA and DHA omega-3s than some other animal-based proteins such beef, lamb, and pork. Just under a cup of chicken delivers decent doses of phosphorus, potassium, magnesium, iron, zinc, selenium, and a handful of B vitamins (notably niacin, B6, riboflavin, and others). 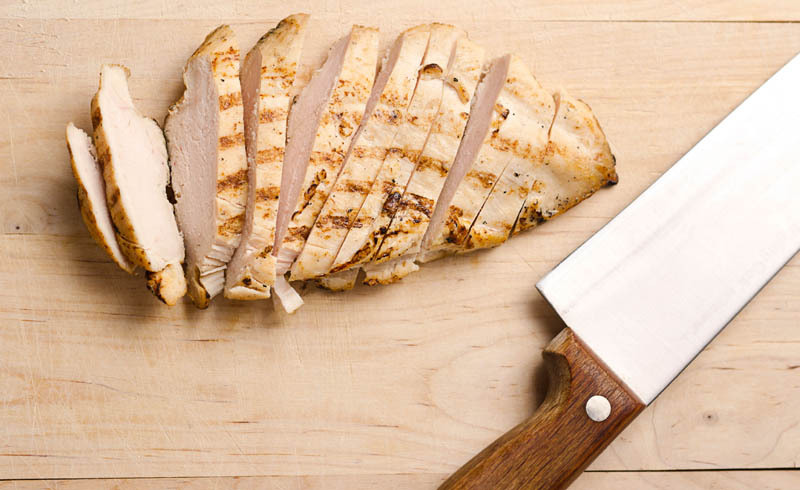 But how do the different cuts of chicken compare—and is one truly healthier than another? 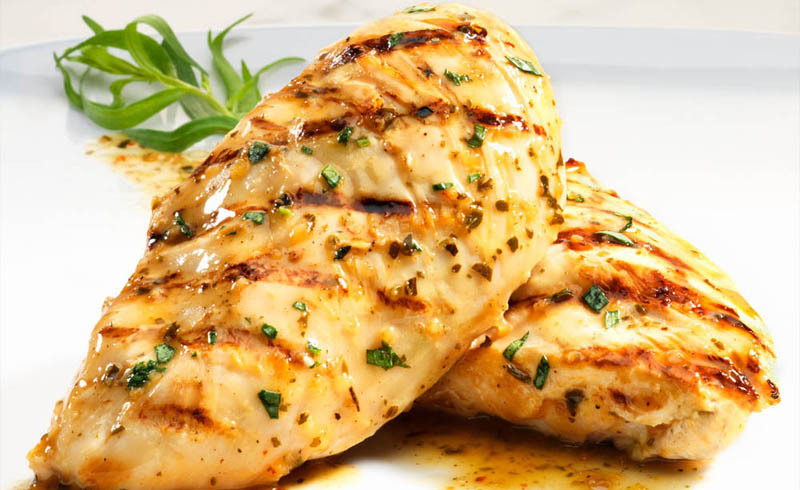 Chicken breast takes the nutrition gold medal. It’s the leanest and the highest in protein. A cooked 3½-ounce skinless portion clocks in at only 165 calories, yet 31 grams of protein. Even with the skin on, you’ll eat fewer calories and grams of fat than a skinless thigh (the same sized skin-on piece of breast delivers 197 calories, 30 grams of protein, and about 8 grams of total fat, versus a skinless thigh at 209 calories, 26 grams of protein, and about 11 grams of total fat). One more boon of chicken breast: It’s always in stock at the grocery store. Bottom line: Chicken is a go-to nutritious choice—not only is it packed with muscle-building protein and good-for-you nutrients, but also research shows eating chicken (within an otherwise fairly healthy diet) may help with both weight and insulin control, as well as lowering your risk of cardiovascular disease. At the end of the day though, don’t get too caught up in the cut of chicken. Just pick the one you find to be the tastiest and simplest to cook. U.S. Daily News: How Much Protein Is in Chicken?